Some of the new additions this markets. The Easter markets are supposed to be pretty big ones for Rylstone Artisan Markets and I’ve been stocking up. My very first market was the pre Christmas one and whilst it was also one of the “big” market days, December is not exactly a great month for knits. Although I’ve been happy with the reception to date, I’m hoping that I’ll now start hitting my straps as the weather cools off. The featherweight lace scarves have done well in the warmer weather but I’m now thinking that mitts, beanies and scarves will now be in more demand. 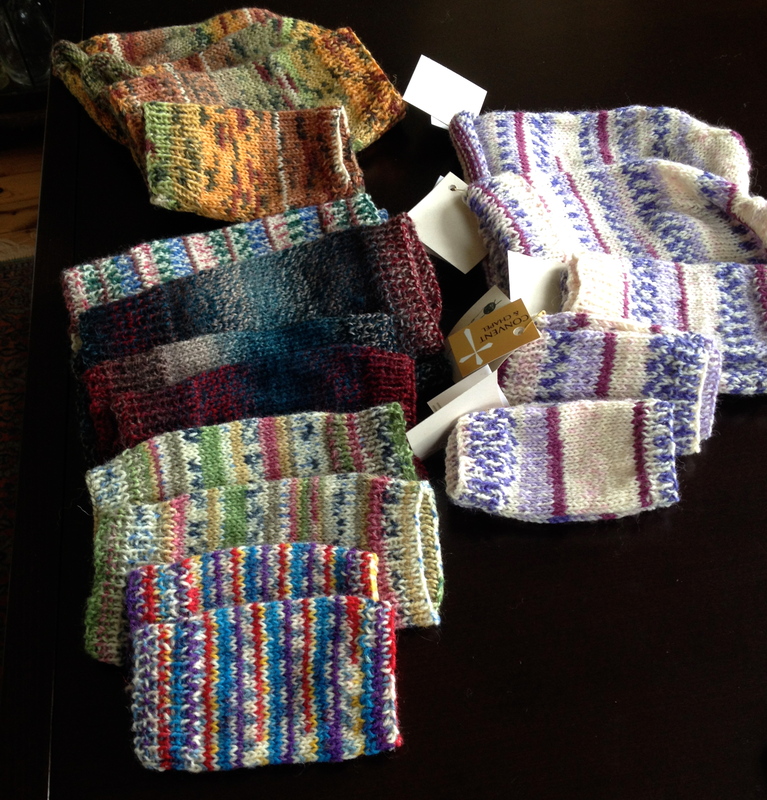 Each month I try and add a new knit – this month it’s the variegated self-patterning sock yarn knits. I’m pretty well stocked up this market and am looking forward to seeing my fellow stall holders and having more chats with the locals and visitors over the long weekend.